Jamie Graham and Jamaal Stewart played football together early in their friendship, then competed against each other in high school. Now they coach together at Hillsboro High School. To build a competitive team in any arena be it sports, arts or academics, it is imperative for leaders who want high rates of return on their investments of energy, time and money to yield a great product. And so it has been with the compilation of coaches and players in this new era of football at Hillsboro World IB High School. 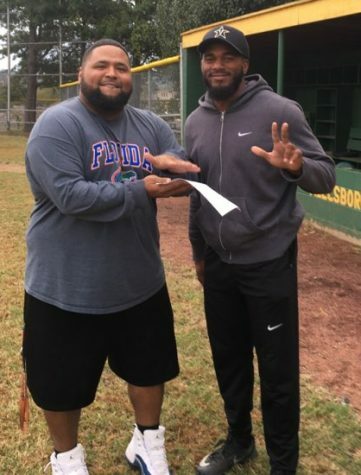 Executive Principal of Hillsboro High School, Dr. Shuler Pelham, has quietly been collecting talent especially in the areas of academics and athletics beginning with Head Football Coach, Maurice Fitzgerald who was brought on board to help build a family culture both in the classroom and on the field. One teacher or coach can’t build a strong program without strong talent to work with and Coach Fitzgerald knows this well. On his staff are two former Hume Award finalists who know how to cultivate a culture that emphasizes the importance of scholar and athlete. 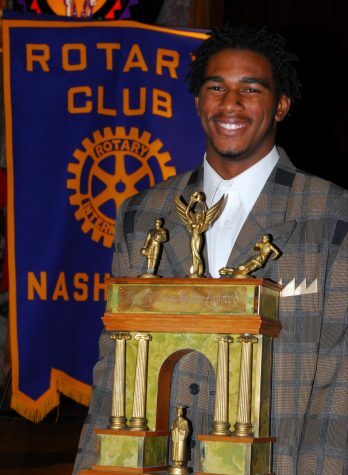 Jamie Graham and Jamaal Stewart were both finalists the same year for the class of 2006-07. Graham took the award by a historical single deciding vote. 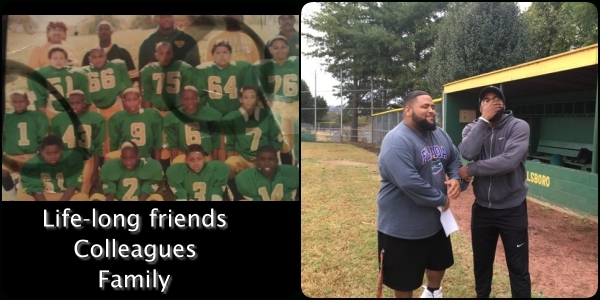 Speaking with both coaches recently, it became evident that one doesn’t have to play on the same team to become brothers in a sport for a lifetime. Stewart is Hillsboro’s Offensive Coordinator and Graham is the defensive back coach. The two friends often poke fun at each other, but as much as they kid each other they are as serious about education and competing. Hillsboro Globe (HG): What is your history with Jamie Graham? Jamaal Stewart (JS): We grew up together and I’ve played football with him since I was five. Then, in high school we found ourselves facing each other as opponents. 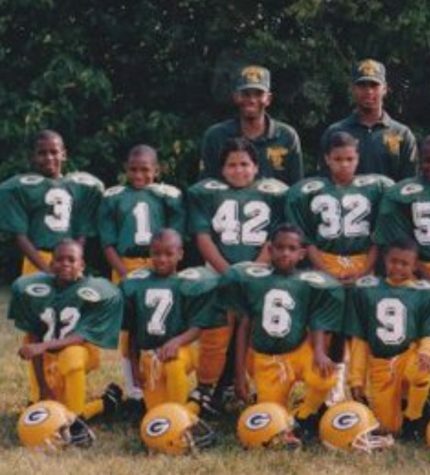 I played for Statford and Jamie played for Whites Creek. HG: How do you know each other? JS: My people knew his people since we were kids and that’s how we became brothers in a way. We joke with each other all the time about childhood memories. HG: What does it mean to you to be able work with him? JS: We have always had a good relationship and he is a cool person to work with, even though he went to Vanderbilt. HG: What characteristics of coaching do you like and dislike ? JS: I like that he’s a hard worker and very detailed and I dislike that he doesn’t listen to me all the time. He beat me by two votes he paid for. HG: What is your history with Jamaal Stewart? JG: We’ve been knowing each other since the age of four or five.We played on the same little league team called the grammar pirates. JG: He is a childhood friend and we are like family. HG: What does it mean to work with him? JG: He’s a pleasure to work with and someone I’ve been knowing my whole life. HG: What characteristic of coaching like and dislike? JG: I like that he studies the game and is always prepared and I know that he loves the game. I dislike that he jokes all practice and doesn’t throw the ball enough.